The idea for a Passivhaus, known as a Passive or Passiv House in English, originated in Germany as the brainchild of Bo Adamson and Wolfgang Feist in 1988. Desperate to put together a concept for houses that could be as energy efficient as possible, they came up with the design of a Passivhaus which had a greatly reduced ecological footprint. With the worries about climate change, the increasing scarcity of fossil fuels, and the interest in renewable energy, Passiv Houses are the perfect solution to a worldwide housing problem in the 21st century. The Passivhaus Institut was founded in 1996 to promote and control housing standards, since then over 25,000 buildings have been constructed by forward-thinkers keen to capitalise on the tiny amounts of energy they require for heating. The concept is not just restricted to houses either, as there are examples of these types of energy efficient building in schools, office buildings, and commercial premises. The whole drive behind the Passivhaus standard is air quality and comfort, and this can be found through specific techniques including insulation and advanced window technology. As the insulation of the houses is excellent, they do not need conventional heating systems to maintain a comfortable temperature. As long as the internal air is exchanged frequently to prevent it becoming stale, which is all part of the construction, these houses are as comfortable to live in as they are ecologically sound. A kit house is just as it sounds; all the necessary parts to make the house are delivered prefabricated to the correct size and numbered. This means that they can be put together in a matter of days, therefore, saving time on site cost and labour. The companies that supply kit houses generally have a set type of house designs to choose from, although since the demand is increasing for such homes, companies such as Baufritz, Hansa Haus and Scotframe can cater more and more to individual needs. Once the proposed house has been decided upon they will create all of the structural parts within their factory. The customer has to organise groundworks and foundations, but once that is done, the whole house will be delivered in parts, and can be put together on site in a very short time frame. There are different types of construction that lend itself to this way of building, as a standard bricks and mortar house are not in line with the Passivhaus philosophy. Popular methods are timber or oak frame house or something that’s quite popular in recent times, structural insulated panels (SIPs). Why Build a Passiv Kit House? When a kit house is put together with a Passiv Haus standard, the result is an extremely fast build and a superbly energy-efficient house. Because of its ability to regulate the internal temperature and keep it stable, it is a comfortable house to live, whether it is a freezing winter’s day or the height of summer. With the unpredictable weather we’re currently experiencing likely to get worse, a house that only requires a small amount of heating can be a good combatant against this. 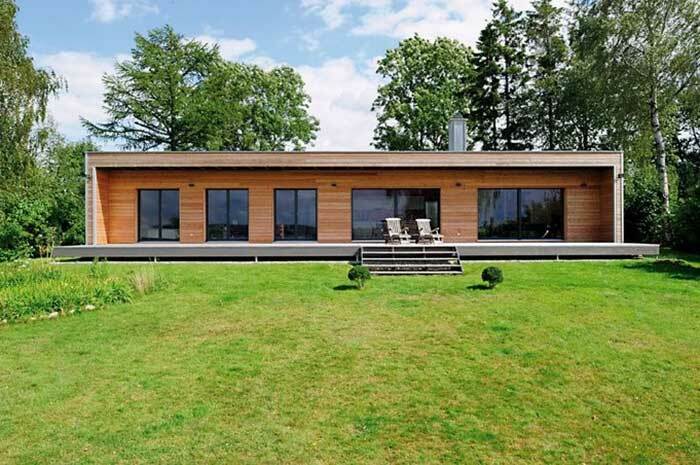 The technical features of a house like this are many and varied, and they have to be strategically constructed so that the house reaches all the standards that the Passiv Haus Institut specifies. Having all the parts of the house constructed by Passiv Haus specialists means that the practical considerations are already catered for. This saves money and particularly time spent finding all of the correct people with different disciplines in the construction industry, who are also familiar with all the different aspects of a Passivhaus. 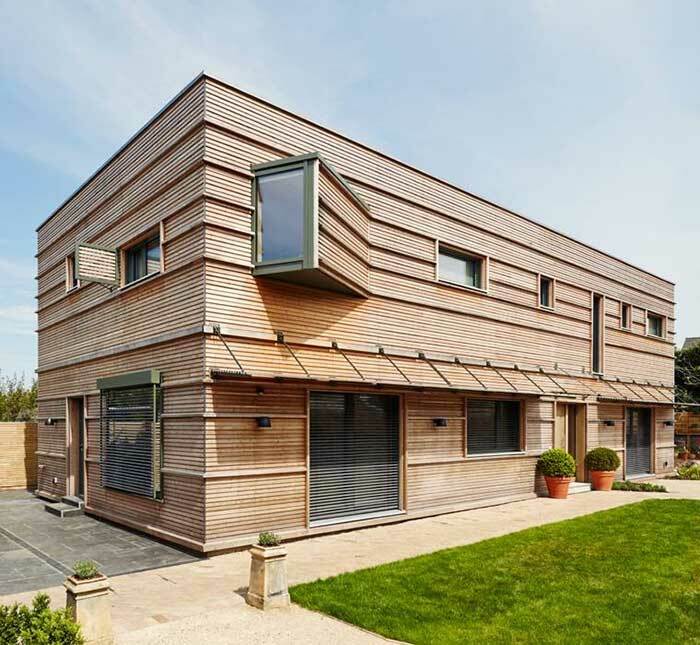 The self-build industry is thriving in the UK, and with everyone keeping an eye out for environmentally sound practices, it is more important than ever to think of this type of house for the future. It is a happy coincidence that it will save considerable time during the build as well as very cheap to run when it is completed. Although the initial outlay is more expensive than a regular build, the savings in the medium to long term are huge such as electricity and heat. When building a Passivhaus, a guiding principle is to reduce the heat losses as much as possible. This, in turn, ensures that it requires very little heat to keep it at an ambient temperature that is comfortable to live in. There is usually a consideration for which direction it should face to take advantage of the sun, and solar power can be used to generate the small amount of heat it needs. Because of its superb insulation properties, even the small amount of heat generated by its occupants and the use of household appliances can be all that is needed. The houses are very airtight in an effort to preserve the internal temperature. This has the downside of making the air quality suffer unless there has been an air exchange system or ventilation system installed. The systems used for a Passivhaus also have the benefit of recovering heat from the removed air. This warmth is also used to heat the house, meaning very little else is required in the form of heating systems. It isn’t just in the winter that the internal temperature of the Passivhaus is useful. With the introduction of an overnight passive cooling system, it is also possible to maintain a pleasant environment in the summer months without using any extra energy. As climate change becomes more of an issue, a house that doesn’t require a lot of energy to heat or keep cool can help to reduce the demand for energy and not be a drain on resources. Unpredictable weather is no problem with one of these houses as you don’t have to make sure the heating is pre-timed to come on, or wait for the air-conditioning to make it a comfortable temperature. The PassivHaus is almost a zero-energy building but without all the bells and whistles required by a house that has to produce as much energy as it consumes. It takes so little energy to run that a reasonably small photovoltaic solar panel, depending on your location, will probably be all that is required. Finally, building a house like this means that future generations will also benefit from both the low energy required to run it, and also the low maintenance and replacement costs. The insulation and airtight capabilities save energy constantly, and they will continue to do so far into the future. The more we invest in technology like this now, the cheaper and more advanced the technology will be in the future. Baufritz is one of Europe’s leading housings specialists, Baufritz has over 100 years’ experience building high-quality homes.